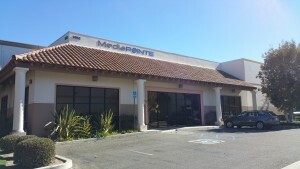 MediaPOINTE® is an established and growing product development and manufacturing company with a unique line of state-of-the-art streaming media products. Our products are used to capture video from a multitude of events, ranging from university lectures, to surgical procedures, to town council sessions to corporate board meetings. The events may be recorded, saved in a variety of formats, played back locally, and/or streamed live or VOD (Video On Demand) over a network (i.e. LANs, the Internet, etc.). MediaPOINTE has a diverse customer base with thousands of systems installed worldwide. Applications range from entertainment to defense, with a large presence in education including many leading universities. In addition to developing state-of-the-art streaming media products, the MediaPOINTE Keycard Automation System (KAS) is a patent pending technology that automates the creation, management, and distribution of media content. The (KAS) is integrated into most MediaPOINTE products and eliminates key market barriers (training, security, content management) and is the only solution known to comply with government Privacy Acts (HIPAA). MediaPOINTE is a leader in the Enterprise Streaming market with all of their products manufactured in the USA.